This entry was posted in General and tagged body on 20 maig 2010 by nbonet12. Cicle Inicial children looking for some chocolate. This entry was posted in General on 16 abril 2010 by nbonet12. This entry was posted in General on 9 abril 2010 by nbonet12. Are you ready for the School Egg Hunt? This entry was posted in General and tagged Easter hunt video on 18 març 2010 by nbonet12. and nothing, oh, nothing is going right. keep your head together, call my name out loud, yeah. Soon I’ll be knocking upon your door. I’ll come running (oh, yes I will) to see you again. Winter, spring, summer, or fall, all you got to do is call and I’ll be there yeah yeah yeah. Hey, ain’t it good to know that you’ve got a friend? People can be so cold. You just call out my name, and you know wherever I am. you’ve got a friend. You’ve got a friend. Ain’t it good to know you’ve got a friend. Ain’t it good to know you’ve got a friend. Oh, yeah, yeah, you’ve got a friend. This entry was posted in General and tagged song friendship lyrics on 12 març 2010 by nbonet12. This entry was posted in General on 8 març 2010 by nbonet12. 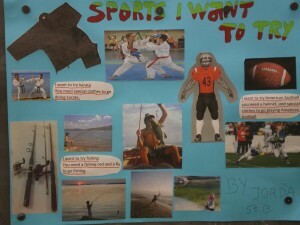 This entry was posted in General and tagged sports poster on 19 febrer 2010 by nbonet12. 1st and 2nd celebrate Saint Valentine’s. 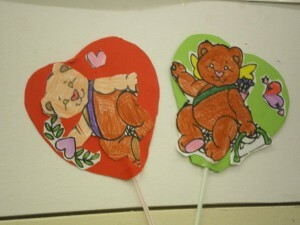 This entry was posted in General and tagged festivals Valentine's pictures on 19 febrer 2010 by nbonet12. This entry was posted in General and tagged song easter on 17 febrer 2010 by nbonet12. This entry was posted in General and tagged easter video bunny on 17 febrer 2010 by nbonet12. Mr WordPress en Hola, món.